Made from hefty 1/8” (3.2mm) stainless steel, this foot features an ergonomic 3D tread that allows easy deployment with riding boots. 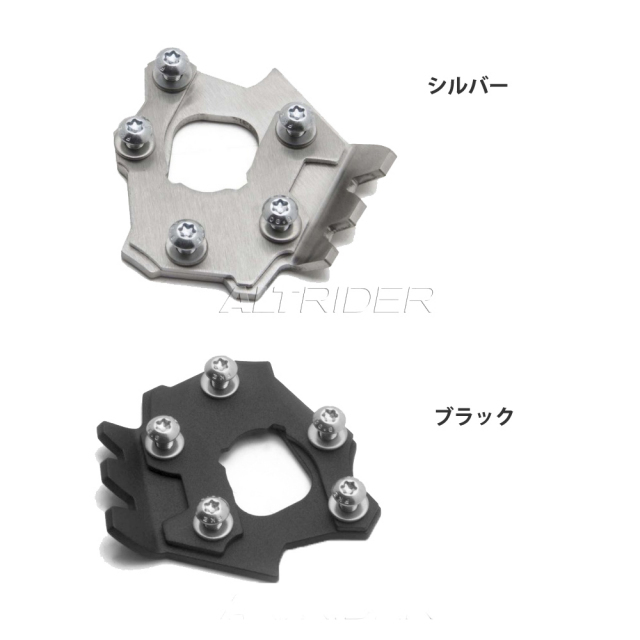 The AltRider foot clamps down with Torx fasteners -- ensuring a tight grip on even the roughest of trails. The durable stainless steel is extremely resistant to rust, and is available in raw silver or powder coat black finish.